Fans have waited a long time to hear when and if a sequel to 2011's The Girl with the Dragon Tattoo is going to actually happen. Today, Sony Pictures has provided an answer. Though it's probably not what American fans of the Stieg Larsson novel series have been waiting to hear. The studio is going to completely reboot the Lisbeth Salander franchise. And they plan on skipping the second two novels in the series. Not only that, no one involved with the original American adaptation is returning. Steven Knight, whose Burnt bombed at the box office this past October, is in talks to pen the sequel script for The Girl with the Dragon Tattoo. Rooney Mara will not return to reprise her role as Lisbeth Salander, with Ex Machina and The Man from U.N.C.L.E. star Alicia Vikander possibly being eyed for the role. The character earned Rooney Mara her first best actress Oscar nomination in 2012. Daniel Craig, who played journalist Mikael Blomkvist, isn't returning either. The Girl Who Played with Fire and The Girl Who Kicked the Hornet's Nest are not getting American adaptations at this time, though they received movies in their native home of Sweden starring Noomi Rapace and Michael Nyqvist. This reboot will actually be based on the fourth novel in the Lisbeth Salander series titled The Girl in the Spider's Web. It was the first book not written by series creator Stieg Larsson. The Girl in the Spider's Web became an instant hit when it was published this past September. It was written by David Lagercrantz, who was hired after Stieg Larsson passed away to carry the franchise into the future. Scott Rudin, who produced the first American adaptation, will return to produce alongside Sony's Amy Pascal, who negotiated the rights to the book as part of her exit from the studio. Elizabeth Cantillon is also producing, along with Yellow Bird, who secured the rights to the Millennium books years ago, and produced the Swedish language trilogy as well as the stateside release of The Girl with the Dragon Tattoo. The Girl in the Spider's Web once again follows superhacker Salander and investigative journalist Mikael Blomkvist as they find themselves at the center of a tangled web of spies, cybercriminals and corrupt governments. The film is currently looking for a director, as David Fincher, who directed the first film to the tune of $233 million worldwide, will not be back either. A true sequel to The Girl with the Dragon Tattoo, which was originally supposed to be based on the book The Girl Who Played with Fire, was deemed to expensive for an R rated movie. Especially since the first film had a budget of $90 million. Original star Daniel Craig was signed for two sequels. But the actor, who can be seen playing James Bond once again in this weekend's Spectre, wanted a pay raise. This made his return impossible, since Sony demanded that The Girl in the Spider's Web be made on a much smaller budget than the previous installment. It's being reported that the true sequel The Girl Who Played with Fire isn't completely dead. The studio paid a reported 7 figure deal for Steven Zaillian's script for that particular installment. That makes it one of the most expensive screenplay adaptations to date. 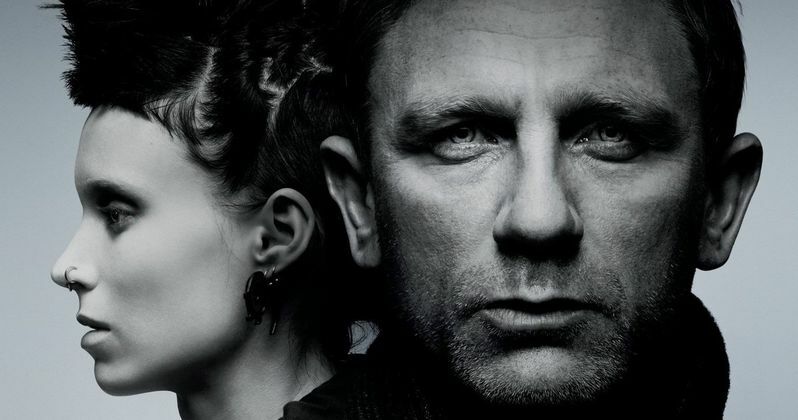 But The Girl in the Spider's Web will come first, with the screenplay to be written before a new Lisbeth Salander and Mikael Blomkvist are cast. When The Girl in the Spider's Web was first pitched by writer David Lagercrantz, Stieg Larsson's longtime girlfriend Eva Gabrielsson and even some fans were very hesitant. But the book has been received well by critics since it debuted two months ago. Steven Knight earned an Oscar nomination for writing the indie drama Dirty Pretty Things in 2003. He wrote the script for this year's fantasy thriller Seventh Son. And he has written a draft for the sequel World War Z 2. At this time, Sony has not set a release date for The Girl in the Spider's Web.